Do you find it hard to apologize? Do you think saying sorry brings you down? Apologizing never has been easy, and it never will be. Admitting when you're wrong can be one of the most difficult things you'll ever have to do. We tend to view apologies as a sign of weak character. Until a few years back, I saw an apology as a sign of great weakness, a form of humiliation, especially when I am partially right. Saying Sorry was a resounding "No" for me. But I have come a long way from that stubborn kid. The successful apology requires empathy and the security and strength to admit fault, failure, and weakness. Sorry may be a simple, single syllable word but it is possibly the most difficult to say. 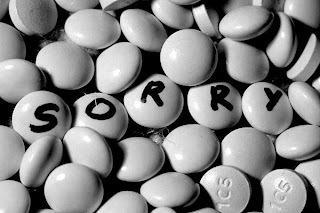 Apologies are rare because it is difficult to accept that one is wrong. And to do so publicly is even tougher. Failed apologies can strain relationships beyond repair or, worse, create life-long grudges and bitter vengeance. Admitting when you are wrong and owning up to it is not only very courageous, but a sign of great personal strength! It takes a strong mind to know when you are wrong and when an apology is necessary. Apology is not necessarily concession, or an admission of error. It is an acknowledgement that the relationship is more important that the argument at hand. The person who apologizes when they are wrong demonstrates a great amount of strength of character than one who blames others or tries to find excuse out of the situation. It takes more guts to face the music than to sling away and sulk. Sorry is a lot of things. It's a hole refilled. A debt repaid. Sorry is the wake of misdeed. It's the crippling ripple of consequence. When apologizing, be sincere about it. Let go of all pride. As you will know that pride form the core of man's weakness. So be humble. Being composed also helps in showing the strength of your character. Don't get too emotional. Tears don't win forgiveness; sincerity does. Don't use the apology as an opportunity to point out what the other person did wrong. If you go about it that way, you're missing the point entirely. And it will just make the other person even angrier. Even the angriest person will soften if you make a thoughtful case, so swallow your pride and get to it. It takes strength to say "I'm Sorry"
This is one unpopular topic people don't want to talk about. Almost everyone is guilty in one way or the other, especially, the attitude that comes with the sorry. I know people who will always say sorry just for the sake without any sincerity whatsoever and I also know those who will act like nothing happened and continue normally as if the offended person is a fool. 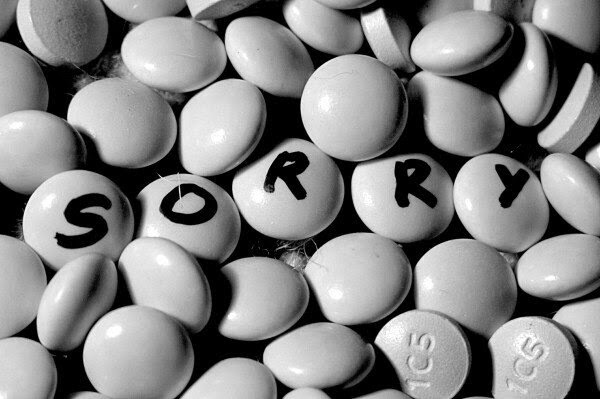 At the end of all, a simple sorry can amend a lot, physically, emotionally and otherwise. Thank you sir for discussing this. Thank you sir for this comment. Sincere apology, statement of fault and an effort not to repeat the same action. It doesn't make everything ok but it's a start. I agree with everything you said. Well done.